Every Tuesday evening around seven women start arriving in our home. They grab a cup of tea or water from the dining room and then make themselves comfortable in the living room. Out of their bags they pull their Bibles, notebooks, pens, and their copy of Sally Clarkson's Mission of Motherood, this fall's discussion book. It has been several years since my first read through the book. I remember how it changed my life as a mom. Sally's biblical encouragement opened my eyes to mothering by following Jesus' example, looking at the way he taught, guided, admonished, and did life with his disciples. At the time, all I knew was that I wanted to get my preschooler to obey me, but she didn't always want to! Then I would get mad, my default when I'm not getting my way. It was a sorry cycle. Mission of Motherhood gave me new ideas and new hope. Reading through the book again this fall - with a couple more children added to the mix and all older than Elizabeth was when I first read it - I am disappointed I have read it over and over throughout the last several years! The principles of mothering by faith, not formula, are timeless. The work has gotten both more fun - because older kids are lots of fun - but also more challenging, as there are more decisions to be made, more focused character training is necessary, and their questions are getting tougher! 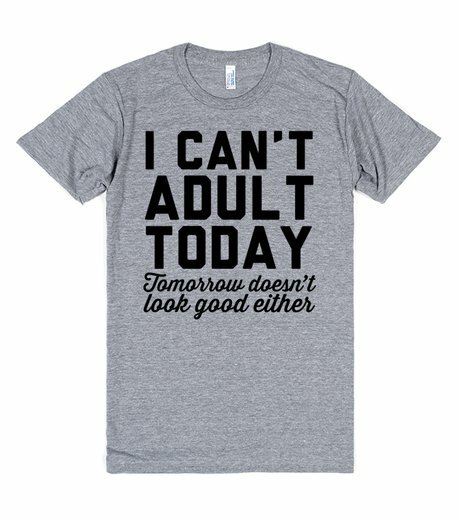 Honestly, I am not up to the task. I am well aware of my own flaws, (I still default to anger when I am not getting my way), and of my flimsy strength to keep on in the good fight of the faith. Rereading Sally's book as my oldest is on the cusp of puberty and my youngest is busy being three has given new wind to limp my sails. There's hope! We're all gonna make it because God is faithful and because He can transform me, and my kids. This blog post is way behind, but being OPEN to transformation was the theme that was emerging mid-September. Doesn't is sometimes seem like giving up or being mediocre is really the best option? 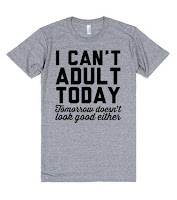 The phrase "I just can't adult today" has become a funny refrain in our lives and on our Facebook feeds. I find it hilarious! But I think it is indicative of how hopeless and ill-equipped we often feel to handle what is before us. God promises over and over in His Word that He can transform us, from the inside out! And that He will give us hope for each day. So, to the weary mother who feels like she's failing, God says, I gave you these little ones, because you are the mother I had in mind for them. Trust me; love them; don't fear; keep giving; I love you! I will not abandon you and I will provide for all your needs, from forgiveness of your sins to food on the table. I can change your life and your family's life! Press on in faith. 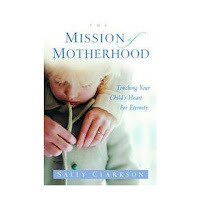 When I first read Mission of Motherhood, I watched God do amazing things in our family as He gently pointed out areas in my life in need of change. I began to enjoy my relationship with Elizabeth, rather than thinking of her as a job, a drain on my time, or a project. I had the privilege of being her mom! if I OPEN up my heart to the transformation He has for me? I tell you these things to lift up your hearts and encourage you. Dear one, you might feel stuck, but you are not! The change you are looking for, however, will not come with a better plan or more self-discipline. You need to be transformed by the Living God. Thankfully, that's His business! First, He cleanses us of all our sin through faith in Christ, then spends the rest of our lives molding us into His likeness by the power of His Spirit in us! This is not just for moms, but for all people who would believe. Will you take Him at His word and let Him transform you? Ezekiel 36:24-28For I will take you out of the nations; I will gather you from all the countries and bring you back into your own land. I will sprinkle clean water on you, and you will be clean; I will cleanse you from all your impurities and from all your idols. I will give you a new heart and put a new spirit in you; I will remove from you your heart of stone and give you a heart of flesh. And I will put my Spirit in you and move you to follow my decrees and be careful to keep my laws. Then you will live in the land I gave your ancestors; you will be my people, and I will be your God. Romans 12:1-2Therefore, I urge you, brothers and sisters, in view of God’s mercy, to offer your bodies as a living sacrifice, holy and pleasing to God—this is your true and proper worship. Do not conform to the pattern of this world, but be transformed by the renewing of your mind. Then you will be able to test and approve what God’s will is—his good, pleasing and perfect will. 2 Corinthians 3:16-18But whenever anyone turns to the Lord, the veil is taken away. Now the Lord is the Spirit, and where the Spirit of the Lord is, there is freedom. And we all, who with unveiled faces contemplate the Lord’s glory, are being transformed into his image with ever-increasing glory, which comes from the Lord, who is the Spirit.